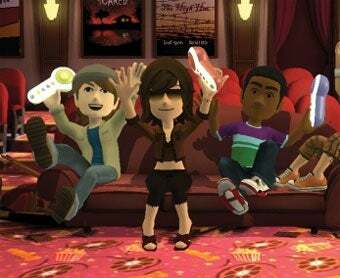 The movie trivia party game that gave four new colored bits of plastic to the 360 is now making its way to the PS3 and Wii with Scene It? Bright Lights! Big Screen! Screenlife's adaptation of the DVD-based movie trivia game for the Xbox 360 has sold well across two different iterations, so the company has decided to branch out, offering the next installment of Scene It? to PlayStation 3 and Wii owners as well. Bright Lights! Big Screen! features thousands of new questions, new quiz types, new player avatars, and even a new host, which should be a pleasant change from the guy they've had doing the 360 version. Along with the new game reveal, Screenlife also announces that it has entered into an agreement with Warner Bros. Interactive Entertainment to distribute Bright Lights! Big Screen! worldwide. "The globally successful Scene It? brand and movie based trivia are a great fit for Warner Bros. as a games publisher and a film studio," said John Quinn, Executive Vice President, Warner Bros. Interactive Entertainment. "We are launching Scene It? Bright Lights! Big Screen! on a variety of videogame consoles to more widely offer its dynamic entertainment experience to the expanding casual videogame audience." The press release doesn't mention whether or not the game will ship with special buzzer controllers for the PS3 and Wii, as the 360 versions have in the past. Since I have two sets of four 360 buzzer controllers slowly rotting in the tangled accessory drawer under my television, it's probably for the best that they don't. Scene It? Bright Lights! Big Screen! will launch across all three platforms this holiday season.